Zion Lutheran Church, as a member congregation of The Lutheran Church – Missouri Synod (LCMS), accepts the Scriptures as the inspired and inerrant Word of God, and subscribes unconditionally to all the symbolical books of the Evangelical Lutheran Church as a true and unadulterated statement and exposition of the Word of God. We accept the Confessions because they are drawn from the Word of God and on that account regard their doctrinal content as a true and binding exposition of Holy Scripture and as authoritative for all pastors, congregations and other rostered church workers of the LCMS. With the universal Church on earth Zion teaches and responds to the love of the Triune God: the Father, creator of all that exists; Jesus Christ, the Son, who took on flesh in order to suffer and die for the sins of all human beings and to rise to life again in the ultimate victory over death, death, and the Devil; and the Holy Spirit, who creates faith through God’s Word and Sacraments. The three persons of the Trinity are coequal and coeternal, one God. Scripture Alone: The Bible is God’s inerrant and infallible Word, in which He reveals His Law and His Gospel of salvation in Jesus Christ. It is the sole rule and norm for Christian doctrine. Man – We believe that man is not the product of evolutionary development, but that was created in the beginning by God who formed him from the dust of the ground and breathed into his nostrils the breath of life. Therefore man consists of both body and soul. We were created to be perfect: holy and innocent, however we sinned when Adam and Eve disobeyed God and ate from the tree of the knowledge of good and evil. Sin – We believe that sin is every thought, word, and action that is contrary to the God’s law. And that since, Adam and Eve’s sin, all of humanity is corrupted by and born with sin and continues to sin throughout all of their life. As a result of our sin we are subject to the consequences of it, both temporal/earthly consequences: pain, suffering, guilt, sorrow, divorce, jail, illness, disease, and old age, to name a few, as well as eternal consequences: death and hell. Jesus/Redemption – We believe that God, in His mercy, chose to save us by sending his one and only son who came in the person of Jesus of Nazareth. Jesus is true God, begotten of the Father from eternity, and also true man, born of the Virgin Mary. He perfectly obeyed the law, which we sin against. He suffered and died on the cross so that the penalty and eternal consequence that we deserve for our sin would be paid for in full. Jesus redeemed you from sin, death, and hell, not with perishable things, such as gold or silver but by the shedding of His holy, precious blood and His innocent suffering and death. Moreover, after Jesus died, he was taken down from the cross and buried in the tomb. But unlike us, Jesus did not say dead, but He rose from the dead three days later, to proclaim His victory over sin, death and the devil and to give to all who believe in him forgiveness of sins and eternal life. Then He ascended into heaven where He rules in power and glory, until the day when He returns to judge the living and the dead. Those who believe in Jesus will rise to eternal life and live with him, where there will be no more sin, crying, pain, suffering, mourning, or death. Those who do not believe will rise to eternal death as they are separated from God and thrown into hell where this is pain, suffering, torment, agony and unquenchable fire. , , and Jesus has done everything necessary to accomplish the salvation of all people. Therefore, the answer to the question, “How can I be saved?” is a very simple one: “Believe in the Lord Jesus, and you will be saved” . “For salvation is found in no one else, there is no other name under heaven given to men, by which we are saved.” According to Holy Scripture, salvation comes not by “living a good life” or “trying to be a good person,” since “all have sinned and fall short of the glory of God” . Salvation is a free gift of God, which comes through faith alone in Jesus Christ alone. “For the wages of sin is death, but the gift of God is eternal life in Christ Jesus our Lord” . The Church – We believe that everyone who, by faith, believes in Jesus Christ is a member of His one holy Christian Church. Since man cannot determine which of those who profess faith in Christ truly believe in him, we believe that true Christians are found wherever this Gospel of Jesus Christ, specifically his death and resurrection for the forgiveness of sin, is preached. We believe that no church body, denomination, or sect can rightfully claim to be the “only saving” church outside of which there is no salvation. We believe that the true church is the one which adheres in every point to the doctrine of Christ and His apostles, and retains the right administration of the sacraments. Holy Communion – We believe and teach that in this Sacrament the true body and blood of Jesus Christ are really present under the bread and wine for Christians to eat and to drink, because Jesus said, “Take, eat; this is My body….Drink of it, all of you, for this is my blood of the covenant” ( ). Our Lord Jesus Christ is present in this sacred meal to give “the forgiveness of sins” ( ), eternal life, and salvation. As He taught His disciples, he also teaches us: “Whoever feeds on my flesh and drinks my blood has eternal life, and I will raise him up on the last day” ( ). Consequently, Lutherans agree with and practice the Church’s historic practice of “closed communion.” Since “the cup of blessing” is “a participation in the blood of Christ” and “the bread that we break” is “a participation in the body of Christ” ( ). all who commune receive the actual body and blood of Christ – believers to their abundant blessing, but unbelievers to their eternal harm. 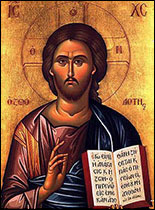 Whoever communes “without discerning the body [of Christ] eats and drinks judgment on himself” ( ). So in Christian love, Lutherans protect those who are unprepared to receive Holy Communion by first teaching them their need for Christ, and the forgiveness and life that he gives in the Sacrament and the truth doctrines of Holy Scripture. When there is unity in confession we joyously commune together. Holy Ministry – We believe and teach that nobody should teach or preach on behalf of the Church or administer the Sacraments in the Church unless he is ordained by the Church and called to this service. The Office of the Holy Ministry is instituted and given by God “for the perfecting of the saints, for the work of the ministry, for the edifying of the body of Christ” ( ) Just as Jesus first sent the Apostles to baptize and teach ( ), to proclaim “repentance and forgiveness of sins” ( ), and to feed His sheep ( ) with His body and blood, he still sends pastors to serve His redeemed people in these very same ways. Marriage – We believe the Holy Scriptures teaches that God, in creating the world, gave marriage to be the life-long union of one man and one woman ( , ), a gift to be held in honor and kept pure ( ; ). The union of husband and wife, in heart, body, and mind is intended by God for the mutual companionship, help, and support each ought to receive from each other in times of prosperity and adversity. It is also established that the man and woman may find delight in each other and that they may “be fruitful and multiply”, bearing children who are to be brought up in the fear and instruction of the Lord. Above all, marriage is a picture of the communion between Christ and His Church. ( ) For this reason, what God has joined together, let not man put asunder. Civil Government – We believe and teach that God ordains and institutes all governing authorities and establishes laws for the sake of good order, that is, to punish the wrongdoer and reward those who do good ( ). Christians, therefore, are to “be subject to the governing authorities. For there is no authority except from God, and those that exist have been instituted by God” ( ). Christians may freely and with a clear conscience serve in civil offices, law enforcement, and the military, and thus serve their neighbors as God’s agents of justice.